If you’re in the Staten Island, NY area, you’ll want to stop by Island Mazda for the all-new 2018 Mazda CX-9. Weather and road conditions can change in an instant. That’s why Mazda’s available predictive i-ACTIV AWD® all-wheel-drive system monitors everything from outside temperature to throttle input and braking patterns. Using that information, it adjusts power delivery to help give you optimal traction before your wheels can slip. Even when the weather’s perfect, i-ACTIV AWD helps stabilize and improve the CX-9’s overall road grip by sensing changes in steering effort and traction. 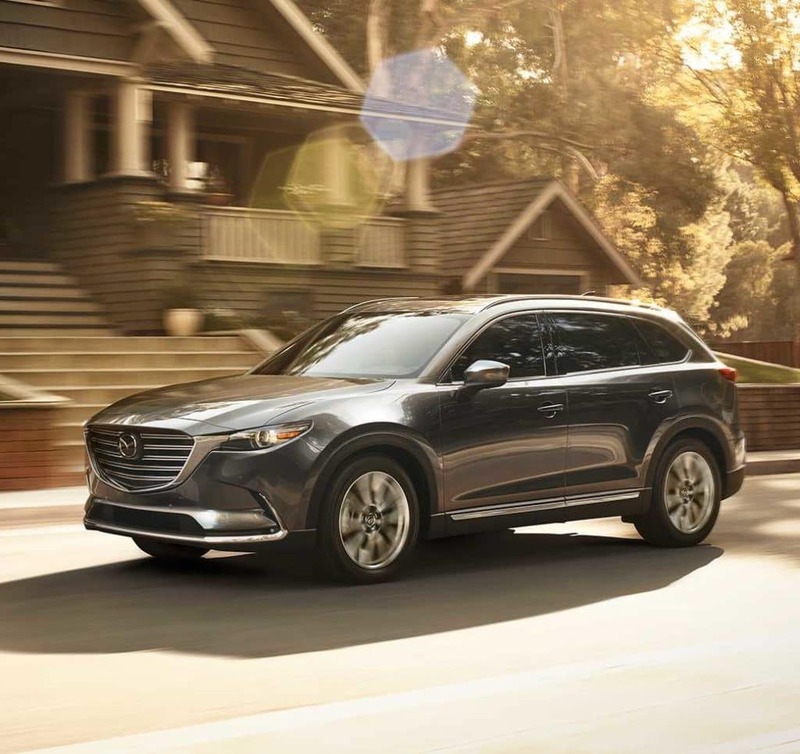 While typical engines generate most of their power in the upper RPM range, the CX-9 is carefully engineered to give you plenty of torque at lower RPMs, where you spend the majority of your drive time. You can tap into 310 ft-lb of torque at 2,000 RPM, substantially more than the 2017 Infiniti QX60 and Acura MDX. SKYACTIV-VEHICLE DYNAMICS with G-Vectoring Control is an innovative technology that helps you steer more precisely by optimizing load control. It’s a highly efficient vehicle motion control system that operates in the background during a spirited drive. It works smarter, not harder, to make you feel connected to the road. At Mazda, they’re in constant pursuit of making driving better. That’s why Mazda developed a new technology, SKYACTIV-VEHICLE DYNAMICS with G-Vectoring Control, to help achieve a smoother, less fatiguing drive. When cornering, on initial turn-in and throughout, the system works seamlessly by adjusting power delivery and shifting vehicle weight. The effect is subtle, but how you feel after a great drive isn’t. Why go to these lengths? Because Mazda believes no detail is too small when Driving Matters. To instill the joy of driving into every Mazda, they engineer with a human-centric development philosophy. It’s how they created SKYACTIV-VEHICLE DYNAMICS with G-Vectoring Control. Instead of focusing on the mechanics of vehicle dynamics, Mazda started development with people. Running countless studies on their characteristics and behaviors to design a vehicle that works harmoniously with the driver. The result? A car that feels like an extension of your body, with more precise steering, better control, and less fatigue. Get ready to experience or test drive the all new 2018 Mazda CX-9 at Island Mazda in Staten Island, NY.